You can view all Woolworths Catalogues and Weekly Specials here. If you are a customer of Woolworths you must be familiar with the products of it and weekly specials featured on the Woolworths online catalogues. Mainly general shopping products of the weekly supermarket products are available with the deals on these catalogues. In fact the main actual aim of the online catalogues are to make you know about all the deals about the Woolworths Products. Woolworths can be present with this catalogue with many mixed products from meat department, deli, beverage, fresh food, elementary products of the personal care, chemical cleaning supplies, cleaning products like mops and the special deals like Valentine's Day gift products, Christmas gifts, Easter eggs, Spring Lamb and one of the biggest toy sale of Australia. Greatest deals of the Woolworths and other supermarkets of which you can see among the categories are available on the site. 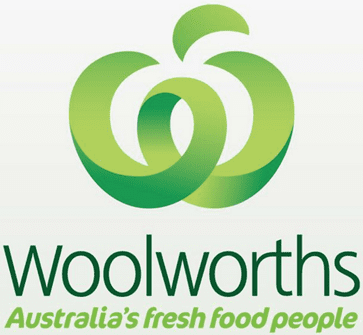 One of the most popular supermarket catalogues in Australia belongs to Woolworths Online weekly specials which are perfect guides to catch all the savings from the stores. Online catalogues of weekly specials like half priced products, everyday sale etc. are shoppable on the official page of the retailer. Meat is one of the vital part of the Woolworths weekly online catalogues. You can select the best meat products from the catalogues which can be viewed on the preview page. Woolworths has always best prices on the catalogues. Majority of the discounts are also possible to be on these catalogues. Deli might be the most preferred fresh food and meals range of all the supermarkets here. Coles has also a great deli range like Woolworths and from Deli department you may reach nice platters of very good prices. I can observe that every weekly specials online always got a new product range of the deli department. 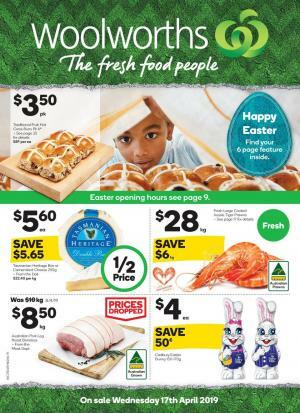 Half prices of the Woolworths for the top quality general shopping food products which everyone can reach with a simple search on the internet. Especially in Australia it is much more simpler to find such healthy food products for good prices. Beverage offers are generally present with a nice selection of the products of confectionery, snacks and chocolate products. Great product range of the popular brands like Lindt, Cadbury are frequently sold products at Woolworths Catalogues. And for chips they mostly have Doritos, Smith's and similar brands. Weekly specials coverage of the catalogue can always provide a good cleaning products including chemicals. Brands like Quantum Finish, Bio Attack, Kleenex are popular products of online catalogues of the retailer. Other than these pet foods, personal care items are also among the frequently retailed items by the stores and online shop. In the future we will focus on the new release prices of the new products. Please follow the reviews and posts to catch all deals of the stores for saving. You can save more as you browse more catalogue and products. Stay awake about the deals of supermarkets.